Assorted Adapters Bushing Inlet Thermometer Offsets Connecting Lab Glassware . New Life Scientific, Inc. 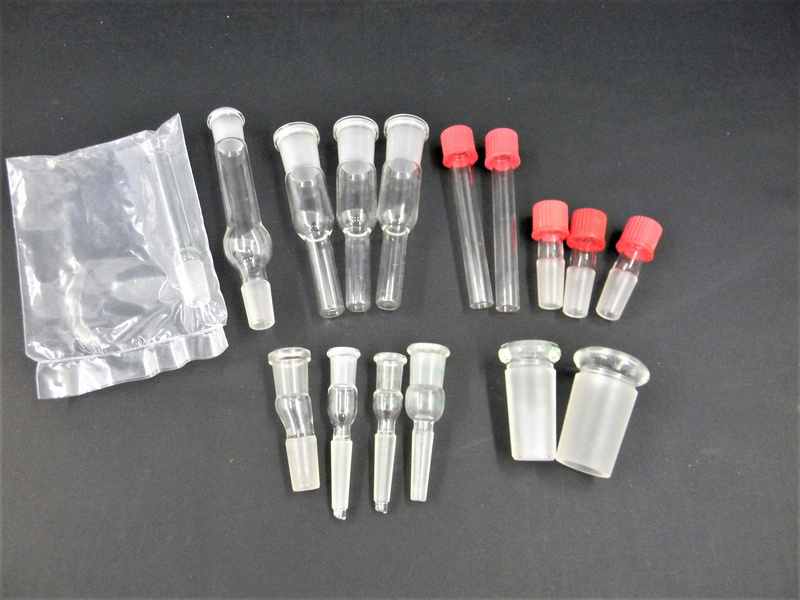 This laboratory glassware includes adapters, inlets, and assorted glassware that was originally acquired from a US pharmaceuticals lab. There are no visible cracks or chips to the glassware that would hinder its efficacy. Most are new, a couple are used but in excellent condition. No chips or cracks.